In July, it was announced that Phoenix restaurants Beckett’s Table and Southern Rail had earned the 2015 Wine Spectator Award of Excellence. 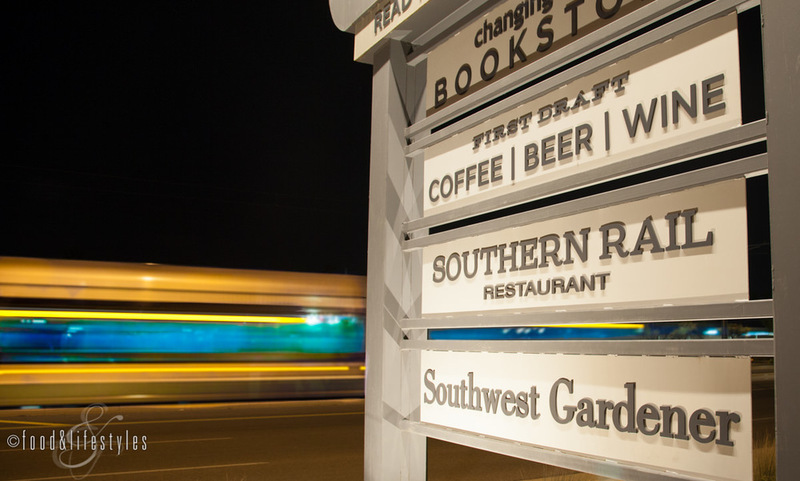 This is the fourth year for Beckett’s Table, and and a first-year nod for Southern Rail, which opened in 2014. The Spectator Awards program recognizes those restaurants that offer a large selection of quality producers appropriate to the cuisine and appealing in both price and style. 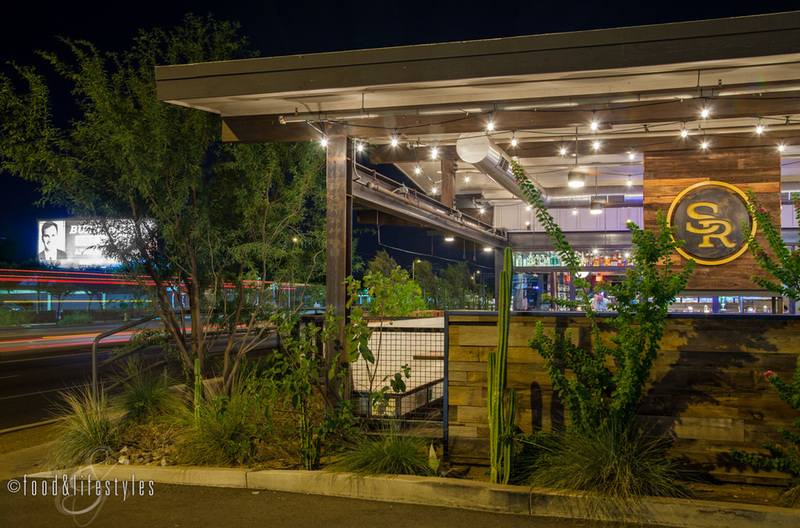 Beckett’s Table’s international wine list and American cuisine were noted, while mention was made of Southern Rail’s Southern America cuisine with wine strengths of Arizona, California, and Washington. It’s no surprise that the restaurants are deserving of this distinction, as both are owned by Executive Chef Justin Beckett and his wife Michelle along with accredited sommeliers Scott and Katie Stephens. I had a chance to sit down with sommelier Scott Stephens at Southern Rail as he told me more about the restaurants, the aim behind the thoughtful wine lists, and his passion for Arizona wines. What led you to the wine industry? Katie, my wife and General Manager at Beckett’s Table, and I met at Tarbell’s. We were there for 3 years - we opened in 1994 - and we just think the world of Mark [Tarbell]. He really instilled this passion and got me back into wine. I grew up in New Orleans, so wine and food have always been part of my life to some degree, but working with him really invigorated both of us. We decided we should dig a little deeper and reach a little further as a married couple who are both accredited somms. What was your goal when you opened Beckett’s Table? Our first wine list was 50 bottles under $50, and also 50 wines by the glass, which we still have. We were serving seasonal American cooking, so we planned a list of good value around that. Beckett’s for me is just a lot of fun because we try to find hidden gems, areas that people have never heard of. For example, Pétalos, which is the Mencía grape from the Bierzo region of Spain. It's a beautiful grape and it’s indigenous to that area, so that’s a super example of really dialing in tight on a flavor profile and a region. How about Southern Rail? Our menu is more Southern and we have an All-American wine list with 40 wines by the glass including six Arizona which rotate. Out of 105 selections on the list, 31 are Arizona. To think that a wine list that is one-third Arizona was given a Wine Spectator Award this early in the game? It's phenomenal. What else makes you stand out? I built luxury wine cellars for almost 10 years, so that’s important. We have our wine cellars at the entrance of our restaurants so people will notice we take care of our wine. Not only are all our wines stored at 58 degrees, but we take it a step further - so all are reds by the glass. Too often, restaurants will sit the wine on the back bar, over coolers with machinery so the heat rises. The winemaker has taken the grapes from the field, aged, labeled and packaged it, loaded it in a refrigerated truck to get it from point A to point B, but then the restaurant puts it on the back bar? It would be no different than us taking produce from Bob McLendon and letting it sit on the back dock and bake in the sun. You have a respect for the wine. And a responsibility. If we’re going to champion Arizona wines, it is our absolute duty as brothers-in-arms to make sure that their product is being presented in the best possible format. That goes for all of our wines. Whether it is the international-heavy wine list at Beckett’s, or the all-American wine list here at Southern Rail, both restaurants convey the idea of drinking it in the best possible condition with the best representation, not just of the grape and the wine and what’s in the glass, but also the story and the backbone behind each and every one of these labels. You can’t honor it if it’s not served at the right temperature. How did you become such a supporter of AZ wine? Beckett's Table was only open for a couple of months and this young couple come in - Rob and Sarah Hammelman of Sand Reckoner. They had their 2010 rosé and the malvasia. I still remember tasting that malvasia. It made me an absolute believer and a champion of what Arizona could possibly do. I’ve had malvasia before, but it never resonated, it never excited, and it certainly did not have the complexity that Rob’s had. To me, that was the starting point. Chef was doing his best to support local and we were already doing it with Four Peaks, Prescott Brewing, and so forth; we needed the wine. It just made great sense and we started peppering the list with some of the other names. We’ve pretty much been to all the wineries. We have a super relationship with Lawrence Dunham Vineyards. We’ve been to Sand Reckoner, Pillsbury, Page Springs, and worked with Dos Cabezas. We recently saw Kris [Pothier] and Joe [Bechard] and Kim [Koistinen] and Jeff [Hendrick] of Chateau Tumbleweed, and Melinda and Earl Petznick of D.A. Ranch. You really admire these Arizona growers. The blood, sweat and tears is never so evident as when you work a day in a vineyard, work a day during crush, or work a day during de-stemming, which Katie and I have been fortunate to do over the years. Once you spend a day in their boots, or in their galoshes, if you will, you have a really good understanding of how much physical labor it takes just to get to a point where you start that maceration process, the fermentation, crafting the wine to where it's going to be, all of this just to get it into the bottle. You’re also a judge for the annual Arizona Republic Wine Competition. I’ve done it the last 2 years, Katie last year. I’m humbled and blown away by it all. We’re tasting side by side with some pretty savvy palates. You have Mark Tarbell in the house, Greg Tresner, Master Sommelier at the Phoenician, Regan Jasper who does all the Fox wines; really big, big players. I remember thinking in 2013 there’s room for improvement, but some really great Arizona wines. Last year, I felt like there was a 5-year leap between 2013 and 2014 in the quality. I was getting a lot of our desert terroir coming through . I remember just sitting back and thinking, man, we are on our way. I mean, how cool is it right now to have this happening in our backyard and the exceptional quality that is being produced. When you start seeing Arizona in Food & Wine and written up in San Francisco Gate and winning awards, that adds validation and a credibility to what is happening. Each one of these winemakers have their own personality. Maynard’s wines have become so elegant. I love where his wines are headed. Or Kent Callaghan, whose vines are so old, they have such a richness. I really get a telltale sign of terroir with the wet desert components, desert sage, things like that. There’s Rune out of Sonoita. James Callahan's wild syrah is awesome and he’s making some really cool wines that are both sophisticated and crowd-pleasing. Tell me about your winemaker series. We experimented this summer with a more intimate wine dinner, family style at a community table that sits 16, so people could engage with the wine makers. We had four dinners on a Tuesday night and sold out all of them. Maynard [James Keenan] was here with his family, and we had Todd and Kelly [Bostock], Kent and Lisa [Callaghan], and of course we had Rob and Sarah [Hammelman]. Next year we’ll expand maybe up to 8. We tried to seat the winemakers in the middle so that they could converse and engage. We had a lot of fun. We also have a special wine dinner coming up September 16th. 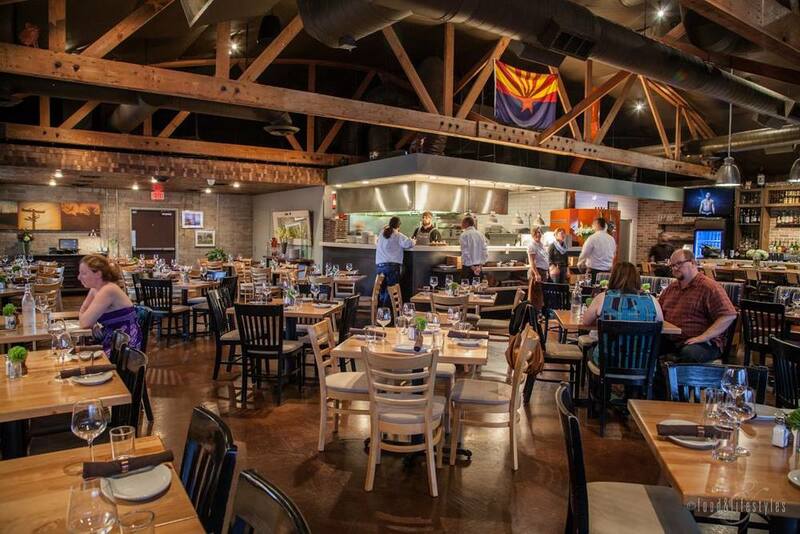 You’re the only restaurant offering Arizona wine for Fall Restaurant Week. We’ve always offered a glass of wine or a draft beer, but decided for Spring Restaurant Week to have an Arizona wine. We worked with Michael Pierce and Dan of Bodega Pierce, and their sauvignon blanc was an absolute hit. So we’ll be offering the sauvignon blanc for a white and D.A. Ranch Red Barn for the red this time. The way I look at it, it’s Arizona Restaurant Week. What better way to promote local than having an Arizona wine or Arizona beer. It’s the right thing to do. What do you see for the future? It’s just a great time to be doing this. This brothers-in-arms is a neat thing to be part of, the sharing of information and the helping of one another. Look at Maynard's Four Eight Wineworks co-op. It’s not “this is my territory, this is my vineyard, I’m not telling you my secrets.” That’s why we have such great product in such a short period of time. I tell the staff all the time, do you know how unusual it is to be in the middle of a brand-new wine-growing region in the world? This doesn’t happen every day. This is a new wine region that is happening before our very eyes and we’re in the middle of it.